SAN RAMON, Calif. -- National Weather Service officials this evening issued a wind advisory for the North and East Bay hills, the officials said. The red flag advisory started at 6 p.m. Saturday and lasts until 10 a.m. Sunday, NWS officials said. The advisory is for elevations above 1,000 feet in Sonoma, Napa and Marin counties and the East Bay hills, according to NWS officials. Northeast winds of 20 to 35 mph are expected with gusts of 40 to 50 mph, NWS officials said. 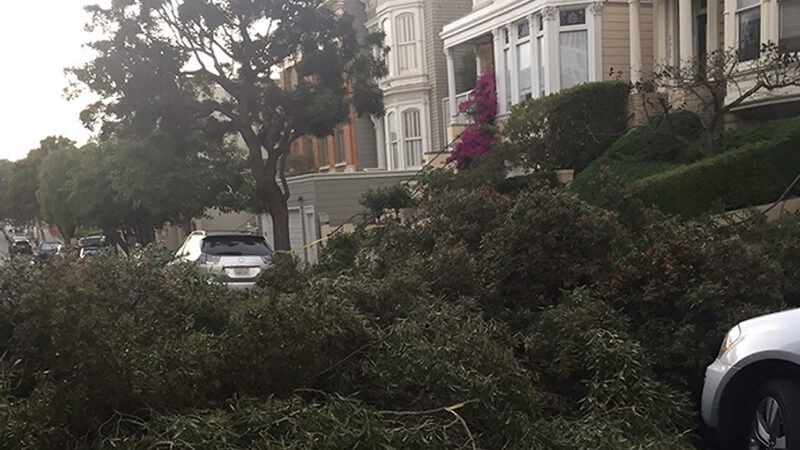 Drought-weakened trees and branches may come down and power outages are possible, according to NWS officials. The winds may make driving difficult, especially for vehicles with high profiles, NWS officials said. Another big concern is that conditions could cause rapid wildfire growth should a fire start. The area will also see low humidity and the strong winds combined with dry fuels may cause extreme fire behavior officials said.